“I was injured on 20 September by a landmine while shepherding near my village of Kolitan”, says Aram. “I didn’t know that there were any anti-personnel mines in those fields. I stepped on one and, suddenly, people that heard the blast knew there had been an accident and came to help me. After I received surgery, I was referred on for medical and physiotherapy services at the Rehabilitation Centre. This is where my prosthesis was made. This year, I applied to participate in the vocational training programme and I was admitted. Aram successfully graduated from the programme and is now an expert in PVC crafting. Recently, there have been some more updates on the progress of his shop, which will open in a few days. 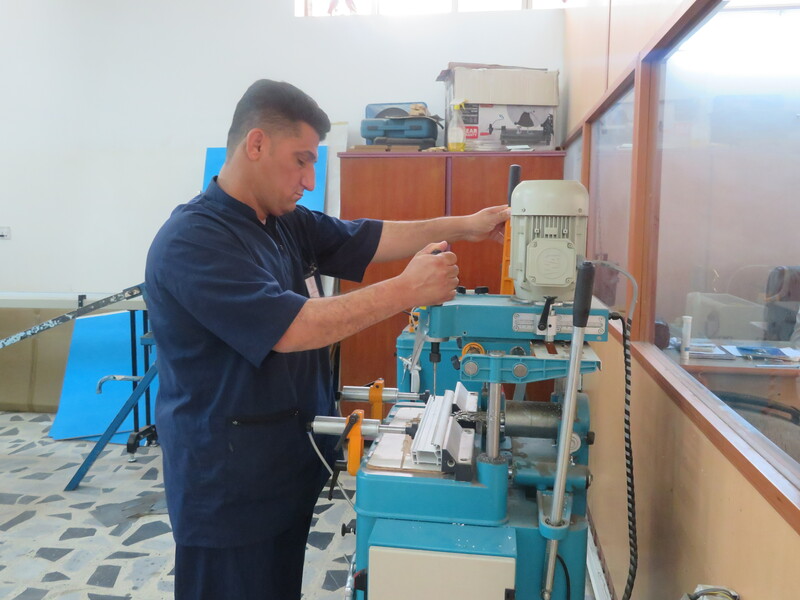 In addition to guaranteeing high-quality prostheses and providing physiotherapy treatment, the EMERGENCY Centre for Rehabilitation and Social Reintegration in Sulaymaniyah offers professional training courses to those affected by war in order to facilitate the reintegration of disabled patients into society and help them achieve economic independence. Many courses are organised at the Centre: iron, wood, leather and PVC processing, tailoring, and shoe manufacturing. 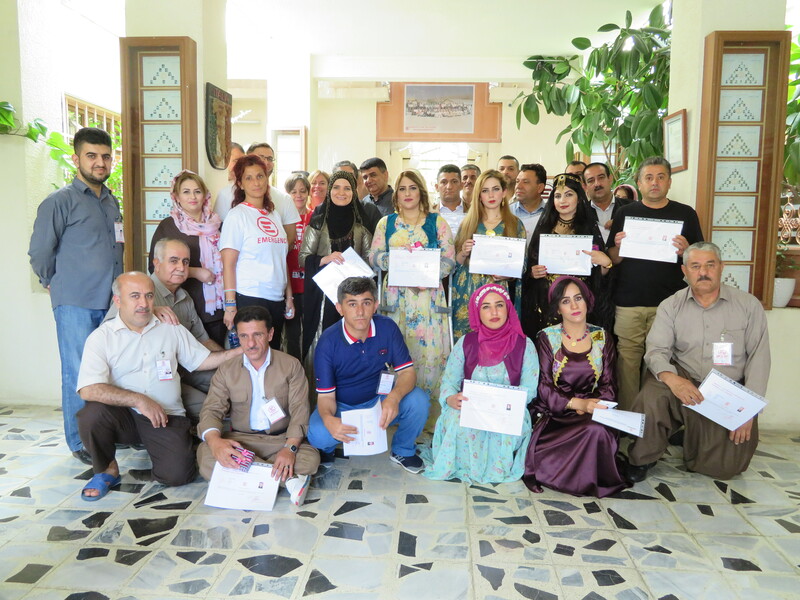 At the end of the programme, each participant is awarded a diploma and guaranteed economic and management assistance for the opening of cooperatives or craft shops where they can put the job they have learned to do into daily practice. To date, more than 350 artisan cooperatives have allowed disabled people to reintegrate into the social fabric and lead a self-sufficient life, overcoming their physical disability.